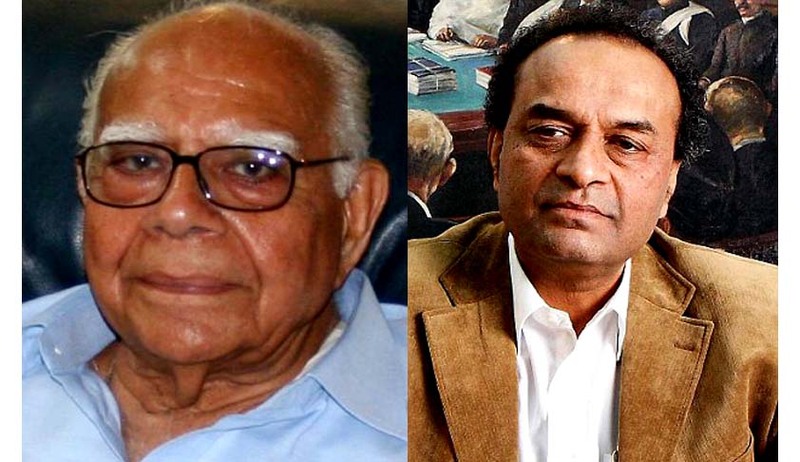 Petitioner in the Black money case Senior Advocate Ram Jethmalani had suffered another setback after his Advocate-on Record Karanjanwala & Company decided to withdraw their Vakalath because of Mr.Jethmalani’s statement against Finance Minister Arun Jaitley and Attorney General Mukul Rohatgi, reports Times of India. It was on Mr.Jethmalani’s plea the Supreme Court had set-up a special investigation team under the Chairmanship of Justice Shah. But the Central government yesterday filed an application before the Court, running into about 800 pages (with Annexures), saying that it cannot disclose details of foreign accounts held by Indians which are governed by bilateral double taxation avoidance treaties. According to TOI, the attorney general told the apex court that revelation of names of Liechtenstein Bank account holders has been seriously objected to by the German government. The government is on the verge of signing important double taxation avoidance treaties with many countries, including USA in December. "If names of those not prosecuted are given out, then it will dry up the foreign government sources which provide the information about Indians stashing illegal money abroad," AG said. Responding to this Mr.Jethmalani said “Matter should not be entertained even for a day. Such application should have been made by the culprits and not by the government”. TOI reports that, Raian Karanjawala explained why his firm decided to withdraw as advocate-on-record from the case. "When he came to us with the case five years ago in public interest and knowing him to be a public spirited person, we had associated with it." "In the light of his latest innuendo, which I do not agree with, we have decided not to associate with the case. We have communicated our decision to Jethmalani. We are taking steps to intimate the Supreme Court registry about our decision," Karanjawala said.